Last September, the US House of Representatives passed the H.Res.311 Bill on the US policy for ASEAN. This represents the new move of Trump’s administration towards a region of geo-political importance in Asia-Pacific. Under the presidency of B. Obama, the US – ASEAN relations were much improved and strengthened by Washington’s “pivot” strategy to Asia – Pacific, shown in the US commitments to the ASEAN. Accordingly, through its representative offices in the Philippines, Thailand, and Singapore, effective economic collaborations between the US and ASEAN have been made. 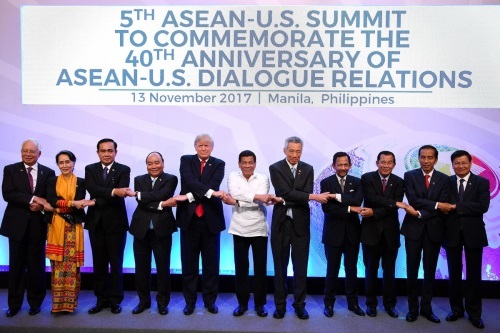 Especially, with its US-ASEAN Connect initiative and long term bilateral cooperative policies and programs, Obama’s administration hoped that the US-ASEAN relations would continue to thrive. Contrary to expectations of the predecessor, on his first day in office, the President-elect Donald Trump decided to withdrew America from the Trans-Pacific Partnership (TPP) Agreement – the core economic factor in the rebalancing policy of the US in Asia–Pacific, which made ASEAN leaders and community concerned. However, what matters is that though Trump’s administration decided to revoke the US “pivot” strategy and withdraw from the TPP agreement, it has recently passed the H.Res.311 Bill on the US – ASEAN relations. Moreover, his trip to 5 Asian countries and participation in the APEC and ASEAN summits revealed that President Trump has made adjustments to his policies to fit the viewpoints of the US legislators. For this reason, analysts hold that the H.Res.311 Bill passed by the US House of Representatives has reflected a new thinking of President D. Trump about Asia in general and South East Asia region in particular. This is shown in the contents of the bill, including: (1). supports and affirms the elevation of the United States-ASEAN relationship to a strategic partnership, and reaffirms the United States commitment to promoting a rules-based order in the Asia-Pacific; (2). recognizes the value of ASEAN working with economic, political, and security partners, such as Australia, Canada, the European Union, India, Japan, New Zealand, Norway, the Republic of Korea, and Taiwan; (3). encourages the enhancement of economic engagement between the United States and ASEAN through the elimination of trade barriers; (4). supports cooperation with ASEAN to implement practical counter-terrorism and countering violent extremism measures; (5). supports efforts by ASEAN member states and other regional states, including the People’s Republic of China, to address maritime and territorial disputes in a constructive manner and to pursue claims, through diplomacy and the use of legitimate regional and international arbitration mechanisms, consistent with international law; (6). urges all parties to maritime and territorial disputes in the Asia-Pacific region to exercise self-restraint in the conduct of activities that would undermine stability or escalate disputes through the use of coercion, intimidation, or military force; and refrain from efforts to militarize uninhabited islands, reefs, shoals, and other features; (7). reaffirms the commitment of the United States to continue joint efforts with ASEAN to halt human smuggling and trafficking in persons and urges ASEAN to make increased efforts to create and strengthen regional mechanisms to provide assistance and support to refugees and migrants. Basing on the above contents of the H.Res.311 Bill, it can be said that the President D. Trump’s declaration to revoke the “pivot” strategy to Asia – Pacific of the predecessor is just a formality. It is stipulated in the bill that, since the US and ASEAN established dialogue relations in 1977, the two sides have won significant achievements. Prior to this, in the Sunnylands Summit in 2016, the two sides continued to reaffirm the role of ASEAN towards the peace, security and stability of the region. In reality, ASEAN is among the 6 biggest economies in the world with annual GDP estimated at USD 2.4 trillion and represents the fourth biggest market of the US exports. Moreover, economic relations with ASEAN have created over 500,000 jobs for Americans. Besides, US-ASEAN relations are also vital to the US security interests as both the US and ASEAN member states share a common concern in settling the disputes in the East Sea by peaceful means and reaching a consensus in the denuclearization of the Korean Peninsula. 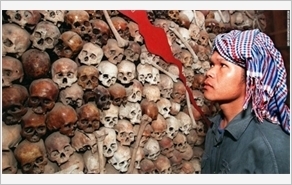 What’s more, ASEAN is also an important partner of the US in dealing with trans-national threats, namely: terrorism, extremism, violence, environmental pollution, energy crisis, epidemics, disarmament, the proliferation of weapons of mass destruction, network security, smuggling, illegal fishing. Mentioning the importance of the bill, E. Royce, the Chairman of the United States House Committee on Foreign Affairs, said that concerning the various threats that East Asia is facing, such as: the “democracy” problem in Cambodia, conflicts in the Rakhine State (Myanmar), maritime security in the East Sea, the passing of the H.Res.311 Bill has reaffirmed the importance of the US - ASEAN strategic partnership relations and the US commitments to cooperate with ASEAN member states in solving the above-mentioned matters; whilst showing the US support for ASEAN and its strategic relations with Southeast Asian countries. According to analysts, “interest” and “rivalry” has always been the centrepiece in the US policy for South East Asia region. Therefore, in order not to harm its interests gained in the South East Asia over the past 5 to 10 years, regain its traditional allies, and because of the important role of ASEAN towards the US as well as the recent moves of China – the strategic rival of the US in the region, the US will, unsurprisingly, seek to strengthen its engagement in the region, (through the H.Res.311 Bill), especially after the pending time when Trump’s administration have not shaped their strategy. The passing of the H.Res.311 Bill not only reaffirmed the importance of the South East Asia region to the US but also represented the new commitments of Washington to ASEAN member states on reinforcing its strategic partnership relations for mutual interests. Moreover, it also expressed the US wish to consolidate its presence in the region more steadily in the areas of strengthened security, economic development, human rights promotion, and navigational protection. Priority of the US foreign policy for the South East Asia region has also been reflected through the long trip of President D. Trump to 5 Asian countries. This is Trump’s first trip to the region since his presidency and the longest trip to Asia ever been taken by an American President since G. Bush administration. Observers held that this trip marked the inception of the “post-pivot” strategy of the US. In Danang, Vietnam, President D. Trump revealed his Asia policy of a free and open “Indo-Pacific Dream” which is seen as a substitution for the “Chinese Dream” and the “Belt and Road” Initiative of Chinese President Xi Jinping. Though details of the Indo–Pacific framework strategy have not been mapped out, this event marked the inception of America’s “post-pivot” strategy as economic and security relations between the US and this region are crucial to both sides. Also during the trip, President D. Trump reaffirmed his commitments to the US allies and said the US would not withdraw from these alliances. President D. Trump, who is said to place emphasis only on reciprocal trade relations with his isolationism, had positive speeches and actions when attending major events of the region, including the Asia-Pacific Economic Cooperation Summit, ASEAN Summit, and East Asia Summit. This has shown new foreign policies of the US for the region as well as the region’s important role towards the US. At the 31st ASEAN Summit in Manila (Philippines), President D. Trump spoke highly of the 40th anniversary of the US – ASEAN relations and stressed that the White House would maintain its commitment to the centrality of ASEAN as a forum for comprehensive cooperation in the region while reaffirming the US – ASEAN strategic partnership relations. In conclusion, the passing of the H.Res.311 Bill, together with statements of President D. Trump at the APEC Summit (Danang, Vietnam) and ASEAN Summit (Manila, Philippines) shows that Washington will still engage in the South East Asia region positively as this is consistent with Trump’s policy of “America first”.